Most the your important files are damage or corrupted due to virus infection or some other reason. But now you can repair these damage or corrupted files easily with File Repair App. 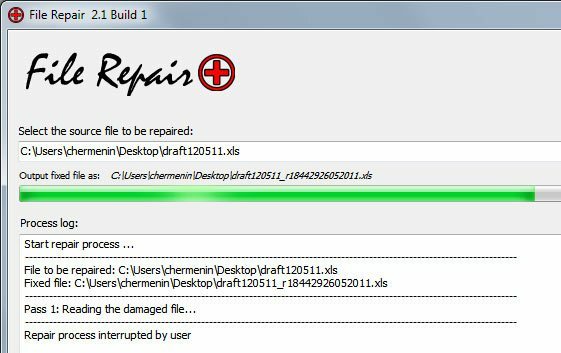 File Repair is a free app which can repair damaged or corrupted files. It can’t fix every damaged file, but will fix most of them. It scans the damaged file and extracts maximum data from it to a new usable file. It can fix most of file formats like Word, Excel, Zip/RAR archives, images (jpeg,gif, tiff, bmp, png), PDF, Access and PowerPoint.The best thing is that File repair is 100% free, with no ads or any kind of usage restrictions. Sounds kind of a great Video repair software! Sounds kind of a great Video repair software! Maybe i will try it.